THE HAGUE – France did not stick to the agreement to maintain a status quo regarding the land border between Dutch St. Maarten and French St. Martin while the negotiations for a final demarcation were not concluded. Dutch Minister of Foreign Affairs Bert Koenders stated this in a letter to the Second Chamber of the Dutch Parliament on Monday, in response to written questions posed by Members of the Second Chamber André Bosman and Han ten Broeke, both of the liberal democratic VVD party. Bosman and Ten Broeke asked for clarity about the border dispute between St. Martin and St. Maarten involving Oyster Pond Bay and Captain Oliver’s restaurant and marina located in this area. The dispute has caused friction between the governments of the two sides and even resulted in a boycott by the St. Maarten Government of the St. Martin Day festivities on November 11, hosted by the French side. 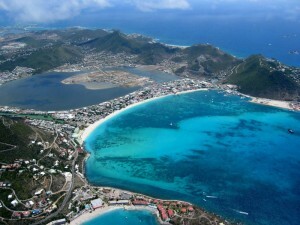 In his reply, Koenders confirmed that there was a “difference of interpretation” about the course of a part of the border between St. Maarten and St. Martin, in particular Oyster Pond Bay. The 1648 Treaty of Concordia, which divides the island into a French and Dutch side, does not specifically define a border, Koenders explained. Following the signing of the maritime border treaty in April 2016 between the Kingdom of the Netherlands and the French Republic, preparations started for negotiations regarding the land border. Oyster Pond Bay is part of these negotiations. The restaurant and marina located at the pier on the North side has been paying taxes to the Dutch side since its opening and operates under a permit of said country. “Until a few years ago this situation was not contested by the French authorities. To prevent incidents, it was agreed in talks between the Dutch Kingdom, France, St. Maarten and St. Martin to maintain a status quo as long as the border was not formally established,” stated the Minister. Bosman and Ten Broeke also wanted to know whether the incident had any consequences, in particular for the relations between the Kingdom and France. Koenders replied that both the St. Maarten Government and the Kingdom have formally addressed France on the inspection that was carried out. The Minister announced that the negotiations to define the land border would start as soon as possible. He added that the relations between the Kingdom and France were “excellent” and that they were not adversely affected by the difference of interpretation regarding the Oyster Pond Bay.